…the starting point of Apostle Paul in Europe!!! The port of Kavala played a major role in the evolution and the development of the city from ancient times until now. The main port is the key point for sea transport. The land area of the harbor is surrounded by the city and within it commercial and tourism activities grow. The windward jetty is 560 meters long and 230 feet leeward. The total of platforms for berthing vessels is 1.950 meters long and the depths of the basin range from 4 -10 meters. Tourism. 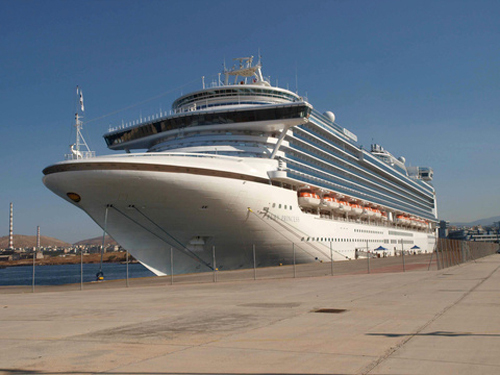 In the main port of Kavala cruisers and yachts approach, the traffic of which shows an increasing tendency. With the release of the port to commercial traffic and the completion of planned improvement of infrastructure an increase of tourist traffic. Passenger traffic by daily routes of F/B και Υ/Γ (δελφινιών) from and to Thassos, while there are regular services to Lemnos, Lesvos and Samothraki. The fishing fleet, used as a fishing lodge. Eastwards and 42km away from Kavala is the Keramoti port, the nearest point in Thassos where from the main volume of passengers and cargo takes place to and from the island. Also from this port private and fishing vessels in the area are served. As for the commercial traffic, it is used to transport major bulk of businesses in the region. The Eleftheron port, 17km away and west of Kavala, serves mainly the fishing market, little freight traffic and only during the summer months are routes to and from Thassos utilized. 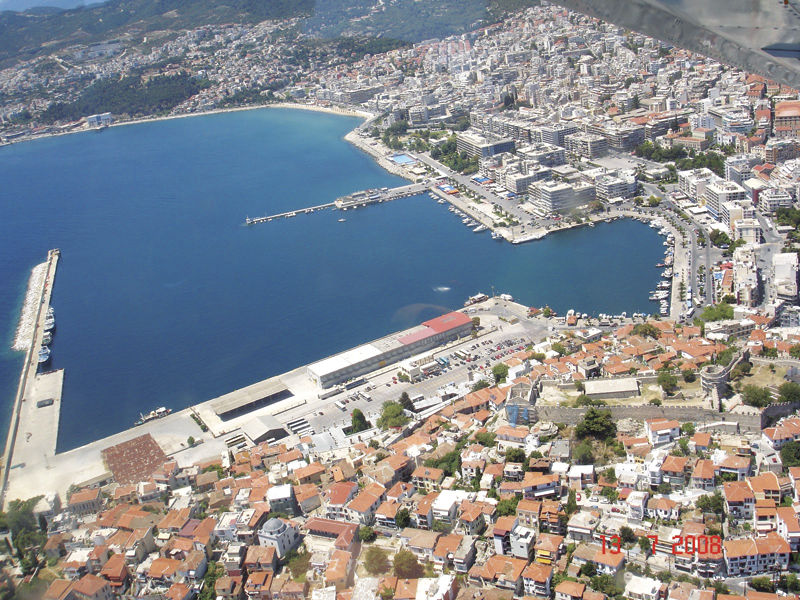 The development of the city of Kavala, made the construction of a new port outside the city necessary. General and specific studies conducted from 1966 onwards, led to the proposal to build a new modern port in New Karvali, 8km east of the city. Today the western wharf has been built and operates, where the commercial traffic has been transferred, while the harbor within the city will become a tourist, passenger and fishing port, retaining its traditional character. 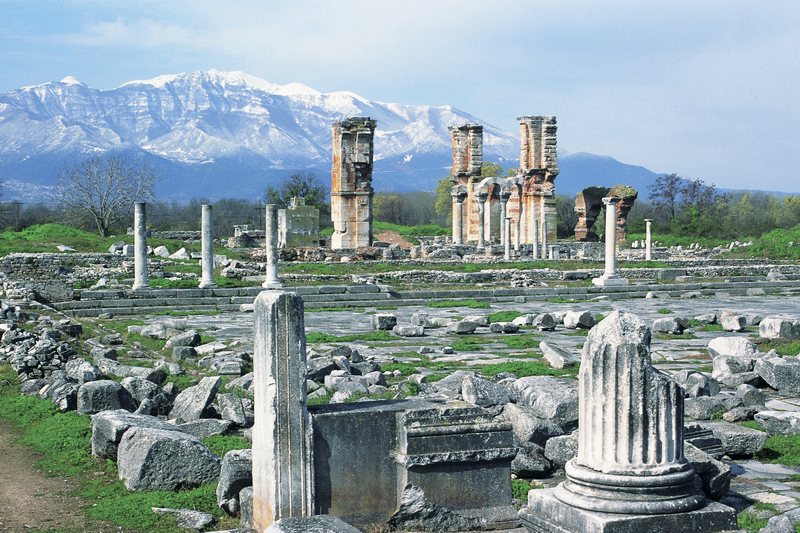 The geopolitical location of the new port in combination with the proximity and access to the “Egnatia Odos” (end up close to it), are the main advantages for the new port to become the main transit center for the region and for the Balkans. The future connection of the new port to a rail network is needed in order to operate an intermodal hub. The traffic growth in the coming years is expected to make planning new projects necessary, according to the program plan that has been approved. Upon completion of the works and the supply of mechanical equipment it will be possible to simultaneously serve 7-8 different types of ships and handle cargo of all kinds (bulk volumes, containers). At the same time, it will become possible to develop business activities related to storage, unpacking and distributing of goods. The release of the central port from commercial traffic that has already been done, in conjunction with the modernization projects, will help upgrade the shipping services and will enable the development of activities of serving private vessels (marina). 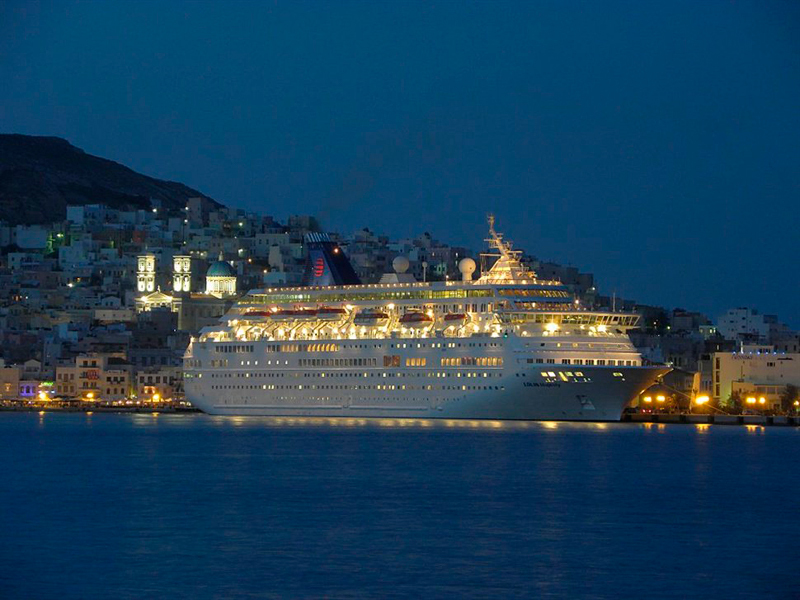 In conjunction with the new modern airport that Kavala has, the port can exceed the level of mere passage of cruise ships and become a home port for them. The regeneration of the land area inside the port, which is adjacent to the historic city walls and below the district of Panagia (old town), will allow the development of tourism and cultural activities. The regional ports of Keramoti and Eleftheron will cover additional needs of shipping, the transporting of certain goods of companies in the region, as well as serving private fishing and tourist boats. Keramoti port will still be very important for tourism in Thassos, as through this the bulk of tourists to the island are transferred. Based on the strategic and operational plan of the KPA, the main guidelines for business strategy, the operational model and the new organizational structure of the organization will be formed, that will serve the objectives and operational planning options. Moreover, the priorities and procedures for the implementation of the goals and the exploitation of the areas and spaces of the port system will be identified. The emergence of the port system of Kavala (ωε – ως) as a transport hub for the Balkans and the wider region. Ensuring the long term sustainability of the KPA and the possibility of funding the necessary infrastructure and superstructure. The development of new activities and initiatives feasible in the form of SA and the attraction of capital necessary for development.